Provide comfort for the family of Bruce Hendrickson with a meaningful gesture of sympathy. Bruce Edgar Hendrickson, age 77, passed away on December 17, 2018. He was born on September 22, 1941 in St. Louis, Missouri. His family moved to Norco, CA in 1957. He graduated from Corona High School in 1959. He served in the Army in Korea as a cook. He moved to Utah in 1976. Bruce had many skills. He was a mechanic, a carpenter, and a fabricator. During his lifetime, he enjoyed fixing up classic cars, riding motorcycles, and camping. Moss never grew on Bruce because he was always on the go. There were many times when he would answer the phone and be in a different state. He always liked to tell us how good the weather was wherever he traveled. He was a master story teller and made friends wherever he would go. He leaves behind 3 beautiful granddaughters who he adored, and he proudly showed pictures of them to anyone and everyone. Bruce was preceded-in-death by his Father Kenneth Oliver Hendrickson, Mother Dorothea Isabelle McNabb, and Brother Thomas Earl Hendrickson. He is survived by his ex-wife Billie Hendrickson of Cedar City, Utah, Brother Doug (Patsy) Hendrickson of Toquerville, Utah, Sister Barbara Hyne of Manitou Springs, Colorado, Son Brian (Leslie) Hendrickson of Washington, Utah, and 3 Grandchildren: Lucy, Katie, and Mattie Hendrickson. He will be missed by many other relatives and friends including Lynn McMahon of Acton, California. We would like to extend a special thank you to those that helped care for Bruce during these last few months. A casual Celebration of Life will be held in Bruce’s honor on Saturday, January 12, 2019 from 12-2 pm in the Cultural Hall at 800 South Laurie Lane in Cedar City, Utah. If you have a classic car you would like to bring please do so in his honor. 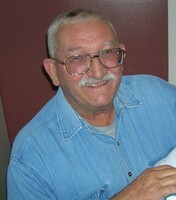 To send flowers in memory of Bruce Edgar Hendrickson, please visit our Heartfelt Sympathies Store.